Riverside in association with Neil Gooding and Tenacious C present The Divine Miss Bette, starring Catherine Alcorn on Friday 10 May. Prepare to be mesmerised by award-winning stage sensation Catherine Alcorn in her hilarious portrayal of Bette Midler! Fresh from her sold-out USA and Sydney Opera House debuts and hailed by critics as "uplifting and life affirming" (Canberra Times) and "masterful" (The Courier Mail), Alcorn has been thrilling audiences all over the world with her magnificent voice and razor-sharp wit, renowned as "a jewel in the crown of Australian theatre" (Adelaide Now). Accompanied by an electrifying live band, Alcorn will take you on a thrilling roller coaster ride back to the Palace Theatre, New York 1973 when she belts out the diva's early classics including 'Stay With Me Baby', 'You're Moving Out Today', 'The Rose', 'Wind Beneath My Wings', 'Boogie Woogie Bugle Boy', and 'In The Mood'. It is a must-see rapturous performance! 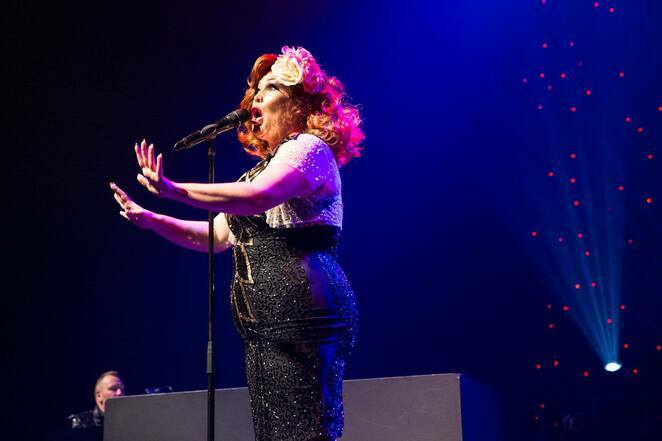 Secure your tickets now at riversideparramatta.com.au/show/the-divine-miss-bette. Tickets are priced from $57. Please note this concert contains coarse language and adult content.